The Rigid Industries' LED flashlight harnesses the power of LED lighting components and puts it in the palm of your hand. 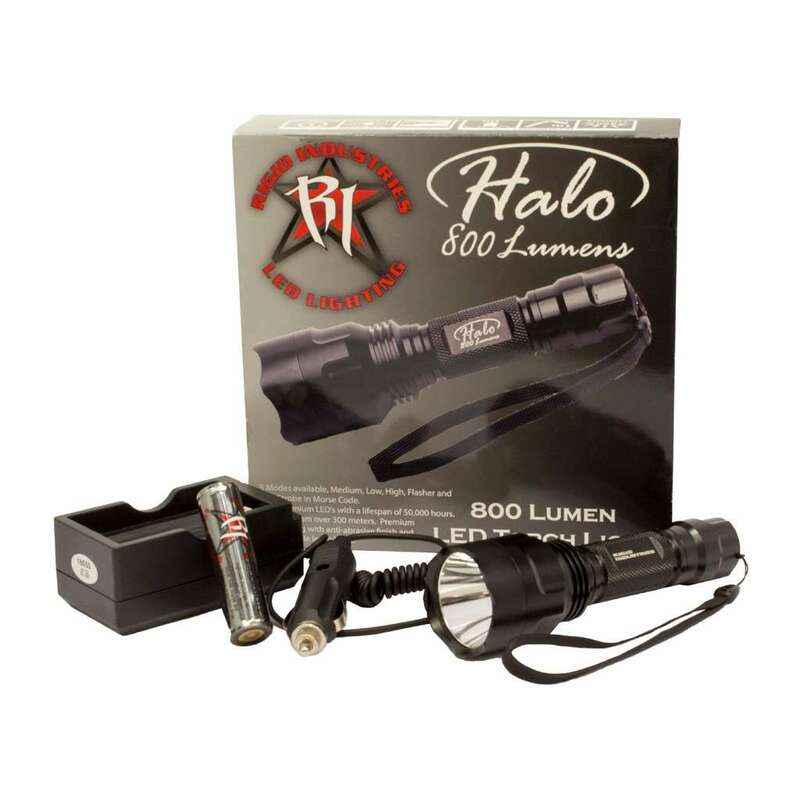 With an amazing 800 raw lumens (510 effective lumens), this LED flashlight features a nice wide beam with a focused center beam that projects 1,000 feet when on the highest setting. Included is a rechargeable AA battery that allows this flashlight to have a run time of almost 3 hours on a single charge. With black anodized aluminum housing, this flashlight is impact and water resistant. Roughly the same size as the Mini Maglite, but with 10 times the light output, this LED flashlight is perfect for home, auto, RV, outdoors and more! A flashlight like no other the KM LED 800 Lumen Flashlight has five different modes: high (800 lumens), medium (500 lumens), low (200 lumens), flasher and SOS strobe (morse code).